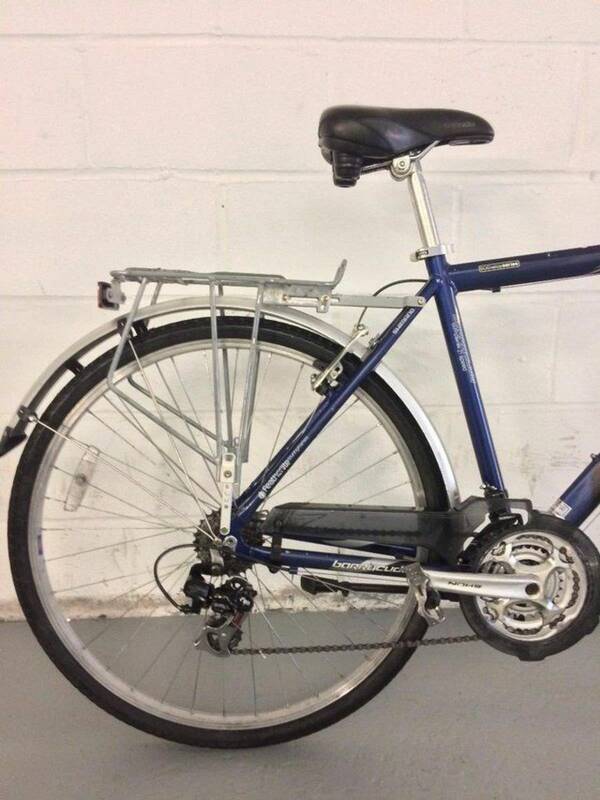 City hybrid bicycle Barracuda Indiana 21 inch build on 6061 Aluminium frame. 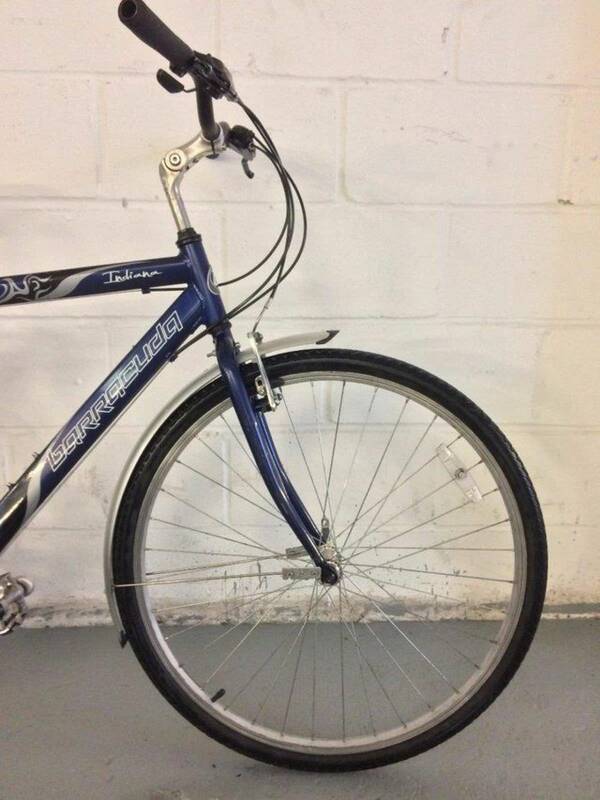 Extras: mudguards, rear rack, propstand, chainguard. 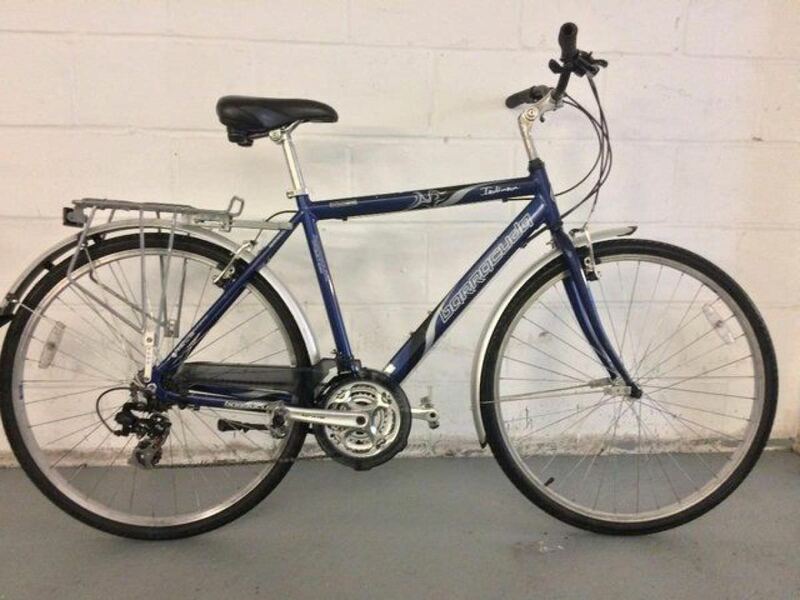 The bicycle is fully serviced by myself as I am professional bicycle mechanic, hubs are checked and greased, cables and chain oiled for smooth action, a brand new brake pads fitted. Perfect bicycle for commuting as well as for park journeys .